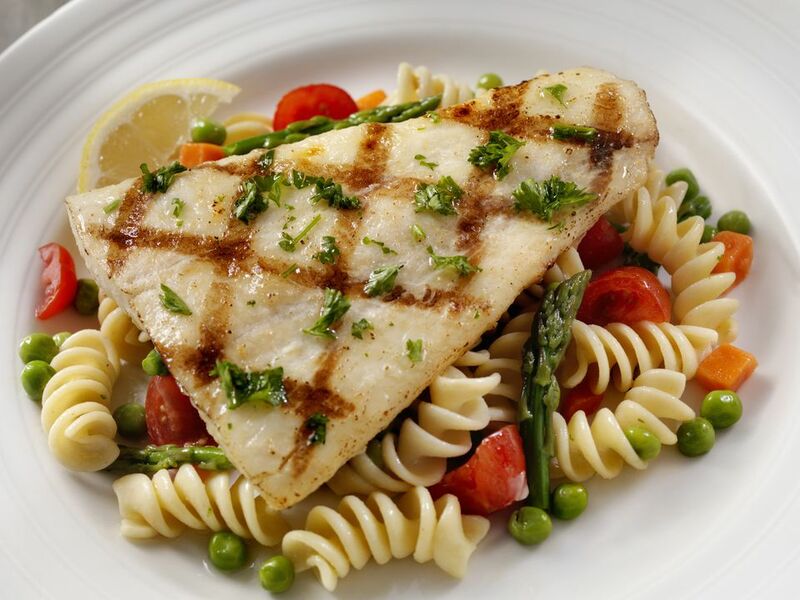 Halibut is a great fish for the grill because it is so versatile and can take on so many different flavors. This recipe is loaded with garlic and herbs that flavor the fish without overpowering it. Combine olive oil, garlic, lemon juice, parsley, basil, salt and pepper and pour into in a resealable bag. Remove halibut from bag and place on hot grill. Grill for four to six minutes per side. Fish is done when it reaches an internal temperature of 145 to 150 F.
Serve with your favorite grilled vegetables.